Martial Motors in Bengaluru has among the highest bookings in the country for the newly launched Volvo XC40. The dealership delivered 12 units of the XC40 today, in the august presence of Volvo Car India Managing Director Mr. Charles Frump. The XC40 is ideal for urban experience with its compact dimensions. The response to the XC40 has been very encouraging. The XC40 is ideal for the Urban landscape like Bengaluru and has a host of features which are very relevant for the city. I am sure the demand for XC40 in Karnataka will increase even more as these cars are seen on roads. said Charles Frump – Managing Director, Volvo Car India. I would like to thank our customers here as Bengaluru is an important market for us and the success is a sign that we made a good choice to have the Volvo Cars assembly unit here. Our association with Volvo Cars goes back to 2013 and it is a wonderful feeling to be growing positively with the brand. At Martial Motors, we strive to provide class-leading customer experience and our new state-of-the-art service facility is the largest in the country for Volvo Cars. 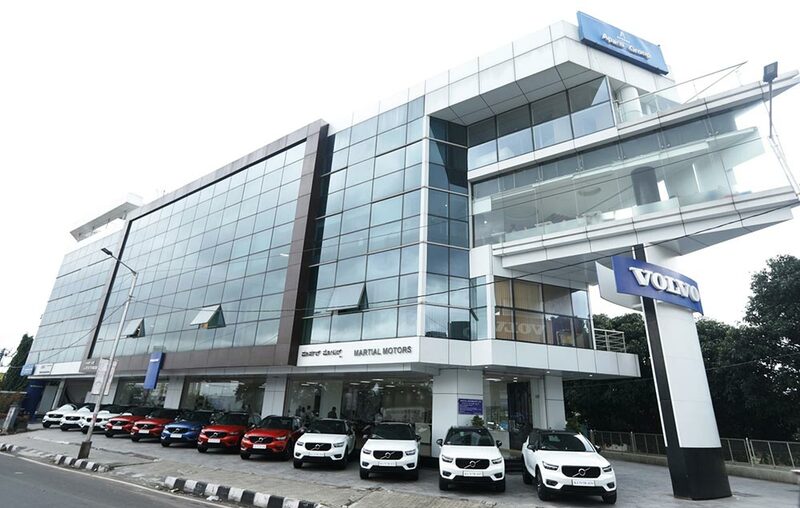 We are confident to contribute to the growth of Volvo Cars in India. Volvo Cars have recorded a 33% growth in volumes in Jan-June 2018 versus last year. The robust sales performance of 1242 units is spearheaded by the XC60 which contributed 25% of the total volume.